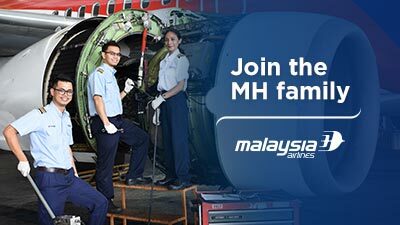 Responsible for the maintenance and supervise inspection, servicing, repair, replacement, modification, rectification and certification of aircraft in accordance with company (Malaysia Airlines Berhad (“MAB”) and Department of Civil Aviation Malaysia (“DCA”) approved methods and procedures for on time serviceability of aircraft. Communicate with support sections such as Technical Services, Workshops, Quality Assurance, Spare, etc. if required and to advise superior. Evidence of work experience (work schedule) available, minimum six (6) months in any consecutive two-year (2) period. Stay calm and maintain professionalism under pressure situation whilst providing safe aircraft for frontlines services and high quality products.